I wasn’t sure about this one when I first started it, but I soon became engrossed in it and didn’t want to put it down. Emily and her father-in-law (her husband has passed on) run a donut shop called Deputy Donut. When one of her regulars fails to show up one morning, her and group of ladies, the knitpickers, got to investigate. Of course they find her deceased and they have to wonder if her death is related to the murder of her son, five years earlier. I enjoyed this mystery because it was a little different than most. There were very few suspects in this story, so I was left wondering who could be the killer. I thought Ginger Bolton did a great job writing this story. It flowed really well and was a fast read. I enjoyed the characters in this story, especially Emily. She is a widow and reignites her friendship with her deceased husband’s ex-partner, but she still remains true to her deceased husband. I thought that she was a very loyal person. She also strikes up a friendship with a new lady in town, who happened to be best friends with the victim. Emily believed in her new friend, even when some things seemed shady. I think I liked the reveal of the killer the best in this story, it came as a completer surprise. I certainly look forward to more in the Deputy Donuts Series. Ginger Bolton writes the Deputy Donut mystery series --cops, crime, coffee, donuts and one curious cat. 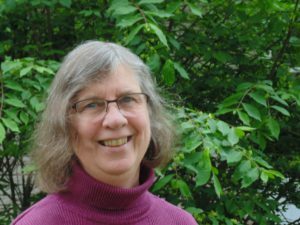 When Ginger isn't writing or reading, she's crocheting, knitting, sewing, walking her two rescue dogs and generally causing trouble. She’s also fond of donuts, coffee, and cafes were folks gather to enjoy those tasty treats and one another’s company. 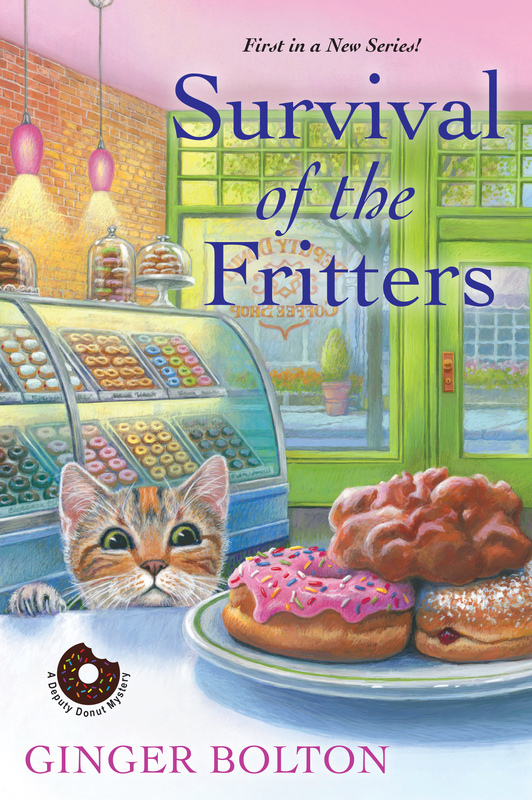 Thank you for your review and the information on "Survival of the Fritters" by Ginger Bolton. Appreciate your being on the book tour. I'd very much love to read this book.